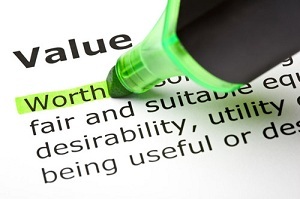 If value is a perception, what is a business valuation to a company and how do you ensure that it reflects the company’s true worth? The challenge of managing your company’s business valuation is directly proportional to the factors that you are using to base the valuation on. In today’s blog, I would like to share with you a few ideas on how I believe you should be managing your company’s business valuation. The very nature of business valuation creates a myriad of subjectivity between various users of financial statements simply because the valuation is based on ‘traditional’ factors such as earnings, ratios and forecasts that may not necessarily reflect the true value of the company. So how do we correct and manage this, and more specifically, how can a company on its own know what will be best to drive its own valuation? With permission, from today, I would like you as the owner, CEO or executive structure of your business to start managing your for-profit business based on fundamentals that neither erodes the future value of your business valuation nor those that may create a visibly subjective environment when such business valuations are carried out. Perhaps more than anything else, I want you to be masters of your own destiny and chart your own course when it comes to how your business is valued. The real irony of business valuations I believe, is that business valuations of the future will ultimately rely a lot more on factors that are not found on your income statement, balance sheet or cash flow statement but more within the company’s ‘entrepreneurial DNA’, proposition-market positioning and factors that the company can control. Let’s unpack the 10 elements that constitute this DNA & market positioning that I’m referring to. I have constructed these factors irrespective of the current economic conditions of the market you operate in so that you do not hold yourself necessarily ransom to ‘Mr Market’ or prevailing economic conditions. Strategy-People-Opportunity. Does the company have the right people in the right places pursuing the best opportunities in terms of its business strategy and action plans? Value Proposition. Does the company have a leading/superior/breakthrough value proposition; one that can serve as a clear differentiator and that delivers superior revenue and returns? Business Model Robustness. Does the company have a business model that not only delivers phenomenal sales revenue, but one that is able to translate this into superior margins and net cash flow on a sustainable basis? Market Segment. Is the company exploiting a high-growth market segment or simply playing in a market that provides average returns? Revenue Leverage. Does the company create revenue leverage by having a sufficient quantum of ‘ambassador customers’ and those customers that serve as an extension of the company’s virtual sales force? Stakeholder Management. Does the company have strong networks, alliances and relationships with customers, suppliers and other stakeholders? Synchronous Leadership. Does the company have the right leadership that has the ability to be both extremely diligent when it comes to internal focus and execution, as well as having the ability to really understand how to deal and serve the market well? Independent Oversight. Does the company have an independent and objective board that brings objective oversight and insight that serve the best interests of the company? Data-Information-Knowledge. Does the company have systems in place that provide for the meaningful accumulation of data that allows it to analyse, interpret and understand where and how customers and profit pools are moving? Cost of Capital. Does the company optimise its cost of capital structures so that it is best able to protect the osmosis and erosion of its earnings? The bottom-line is simply this: pivot your company’s valuation on factors that the company can control and not on the factors that put the valuation of your company at the mercy of subjective external factors.